The iPhone 5 is still only a beast of legend at this point, but that legend is taking on more detail every day. Here’s a brief summary of what we can expect from the next Apple (s aapl) smartphone based on current scuttlebutt, including a new release window just reported early Monday. Early case prototypes, anonymous sources and even some spy photographs seem to be reaching some kind of consensus about the physical design of the upcoming iPhone 5. The latest information seems to indicate we’ll see a thinner device, with a slight teardrop taper to the back of the phone, a larger, edge-to-edge display (with either the same or slightly increased resolution) and a mute button moved to the side opposite the one where it currently rests. Another intriguing possibility is a larger home button, which could double as a touch-sensitive surface for gesture input. There’s also a contradictory crop of rumors that suggest the next iPhone will pretty closely resemble its predecessor when it comes to physical design. It’s possible both descriptions could be accurate, if Apple is indeed planning to launch multiple lines of iPhone this time around, including a more affordable version. Recent photos have claimed to depict just such a device, closely resembling an iPhone 4, but with a plastic outer protective layer, instead of the Gorilla Glass currently used. Just what kind of performance benefits will the iPhone 5 offer? According to reports, we should see the A5 processor that powers the iPad 2 make the jump to the smartphone, as well as a dual-mode Qualcomm (s qcom) GSM/CDMA cellular network chip (which will make it possible to use the iPhone as a world phone). Another pretty safe bet is an 8-megapixel rear camera sensor, which will hopefully make the iPhone an even better choice for mobile photo buffs. Some early rumors also claimed Apple would introduce NFC in the new iPhone, and one report from last month suggested the new device would pack a 3-D rear camera, but neither of these reports seems likely to be true at this stage. One possibility that remains on the table is that Apple will once again introduce a new, smaller variant of SIM card with the iPhone 5. A report from May said European carrier Orange was working with Apple on developing a new SIM card standard that would be even smaller than the micro SIM currently used in iPads and the iPhone 4. A smaller SIM would allow Apple to devote more room inside the iPhone to other components, like batteries, and/or reduce the size of the physical case. Before today, all signs seemed to be pointing to a September launch for the next iPhone. But AllThingsD reported early Monday morning that, according to multiple sources, the launch wouldn’t come until October, and possibly late October at that. AllThingsD is quite well-connected at Apple, and it’s possible this was an engineered leak designed by Apple to control expectations among consumers and investors. It could be that September was the original expected release window, but something has led to a slight delay. 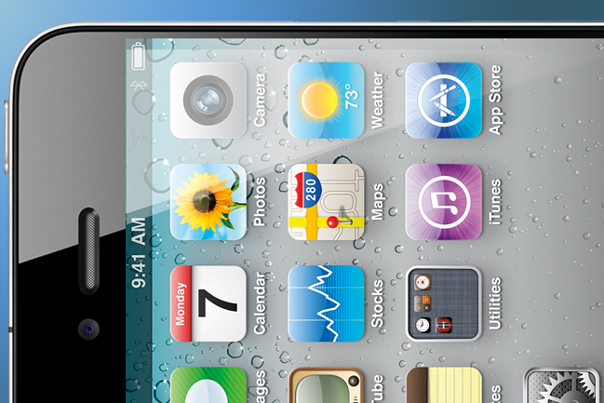 Apple will probably stage the release of the iPhone 5, as it has done in the past. Recent reports claim the U.S. will see it first, followed by a wider international release a month after. While the anticipated release date is October in today’s report, we might still see this kind of delay between domestic and international launches. The iPhone 4 initially launched in the U.S., U.K., France, Germany and Japan, then hit a number of other markets about a month later. Look for a similar plan this time around, although maybe with a different initial pool of countries, since Apple’s biggest potential markets are changing. The big question mark remains whether or not Apple has decided to finally develop a second, cheaper iPhone line concurrently with its primary device. COO Tim Cook has suggested that they are interested in doing so, and the benefits in terms of how it would help iOS continue to compete with Android (s goog) globally seem apparent. But Apple has also never seemed swayed by populist motivators, so it remains far from a sure thing. What do you think: Will we or won’t we see a cheaper iPhone in 2011? I’m tired of waiting ………. If there’s no announcement by the end of August, I’ll look for another phone. My ipad makes the iphone redundant anyway. Without a lower access product, Apple will simply be repeating the Wintel/80’s paradigm where It survived fine with elite creatives until the verge of bankruptcy in the 90’s. In Android v. iOS, it’s like seeing a car-crash happening and still not trying/able to change course, how did Wintel gain prominence in the 80/90’s? a myriad OEM’s with a standard platform. Of course, this time, things will be different, non-Apple OEM’s won’t be able to circumvent patents, be creative and improvisational themselves, or source cheaper components forever with natural Market adjustments, and the 250m iOS will be no match for the annual 800m mobile handsets replaced where you can already get sub-$100 android models. What’s a sign of insanity and expecting different results!!!!! So you think the iPhone is popular only with “elite creatives”? If they do not offer A 64 Gig option, then I will be passing on this years model. A very measured, educated, knowledgeable look at the iphone 5 rumors…. A nice read!